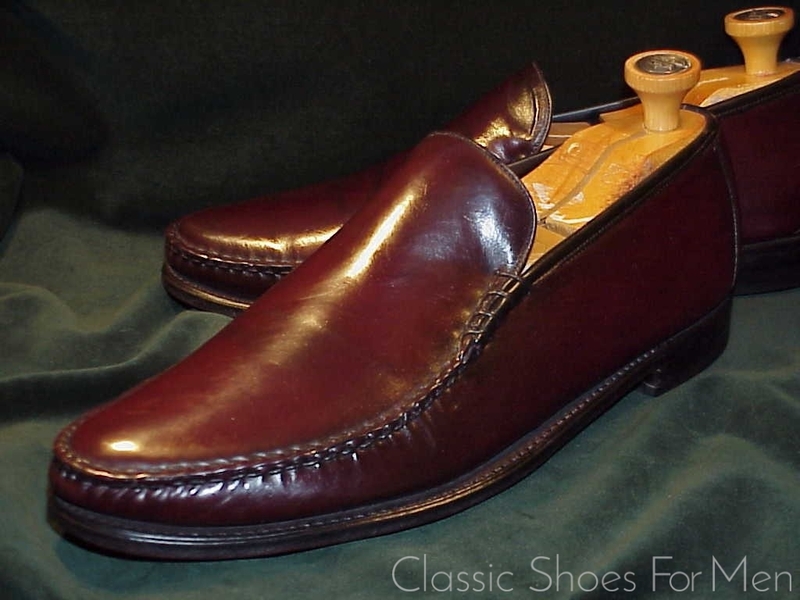 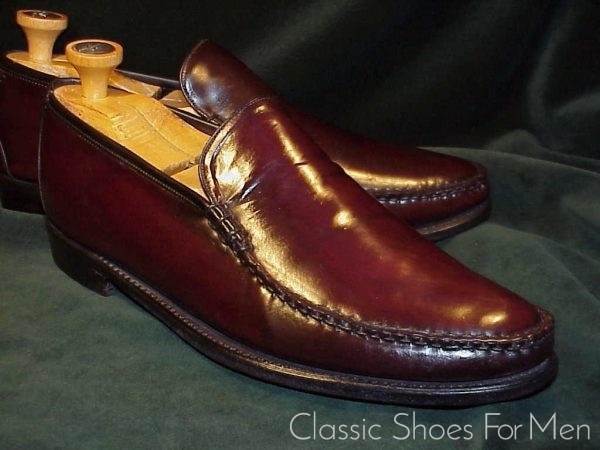 This is Florsheim’s much-loved and much sought-after signature High-Vamp Loafer, the pride of the Collegiate Set, the legendary “Yuma”, a loafer like no other; the hand-sewn moccasin vamp almost meets the welt in front and is anchored to the sides with a binding that sends Alden’s loafer back to school. 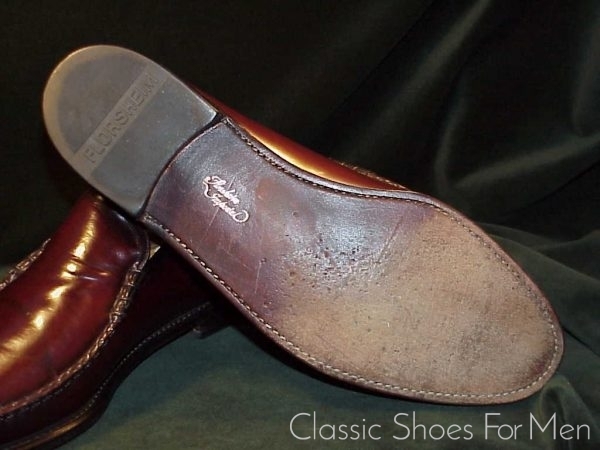 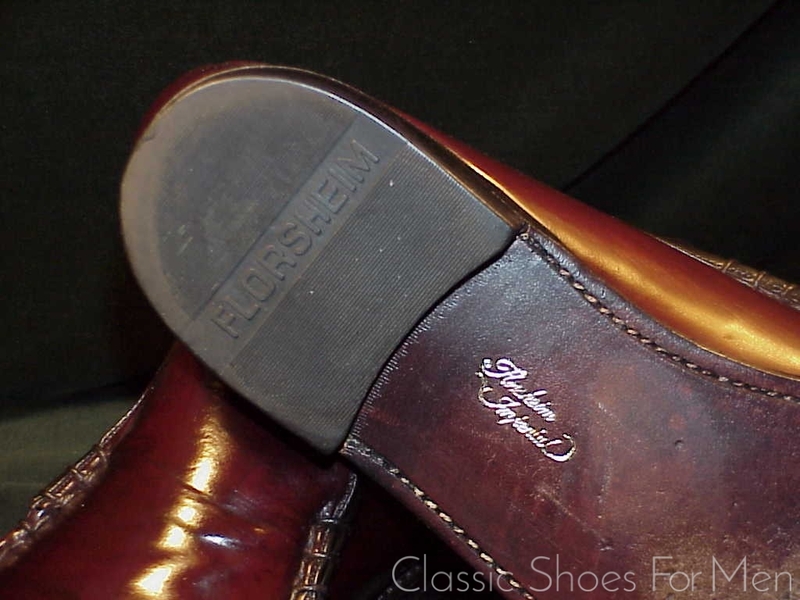 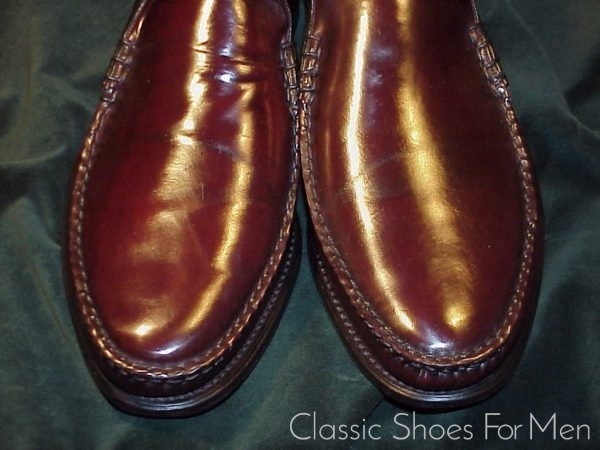 Florsheim was Horween’s number one shell cordovan client for most of the 20th century, out-buying all other customers put together, so the quality of this cordovan can be said to be, simply, the best. 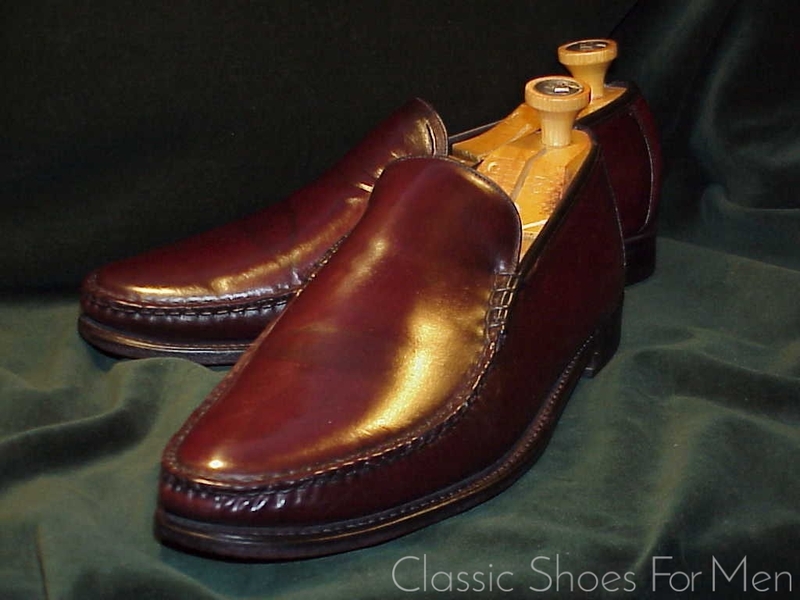 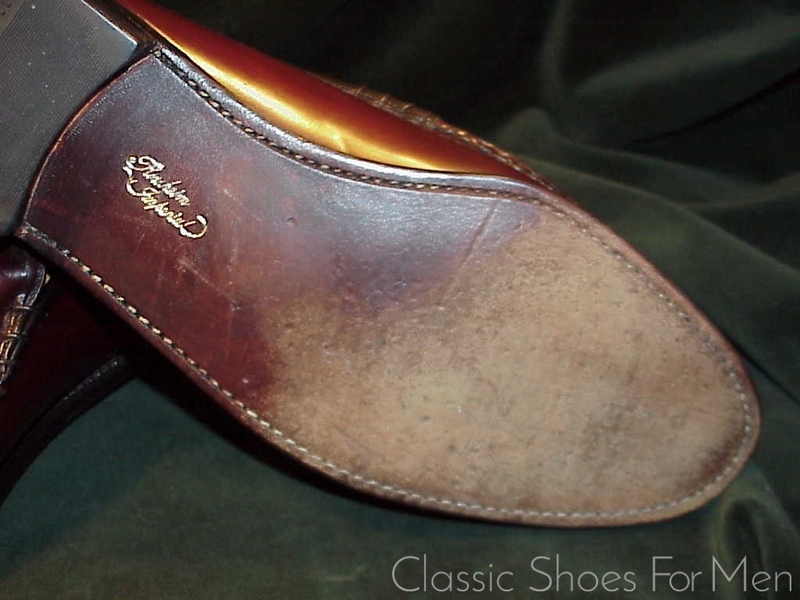 This shoe may be dated to as late as the 1970 or early 1980’s but the model was already in evidence in the late 1950’s. 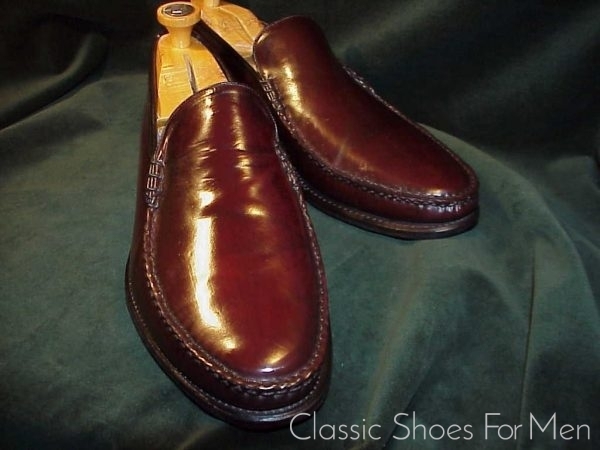 This is the original, the classic Yuma, and not to be confused with the calfskin version revivals of 1999 or 2007. 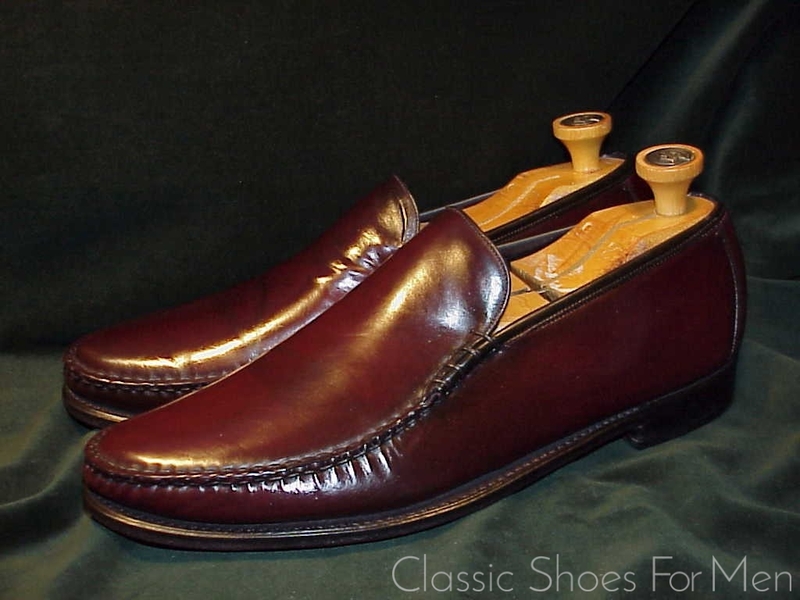 For the Florsheim lover, this is an historic collectors item, rarer today than any other Florsheim shoe, including the ultra-rare alligators –the last Cordovan Yuma I personally have seen was over two years ago- in short, the last word in a Florsheim shell cordovan and, yes, it is just a simple loafer, but it is the rarest one you will ever own and one of the most beautiful. 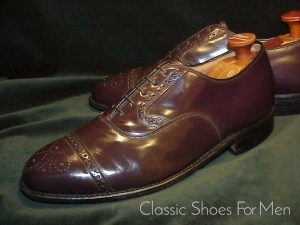 12 D US.....11E UK.....Continental: 46D, for the medium width foot. 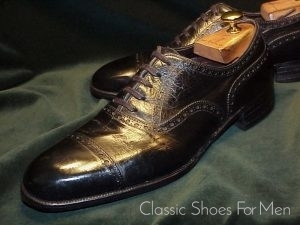 Particularly difficult to find in good condition in this large size; no doubt among the last of its kind in captivity. 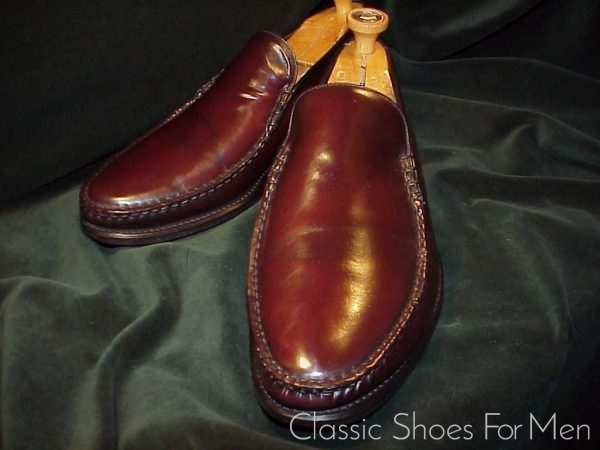 Superb original condition, worn once or twice! 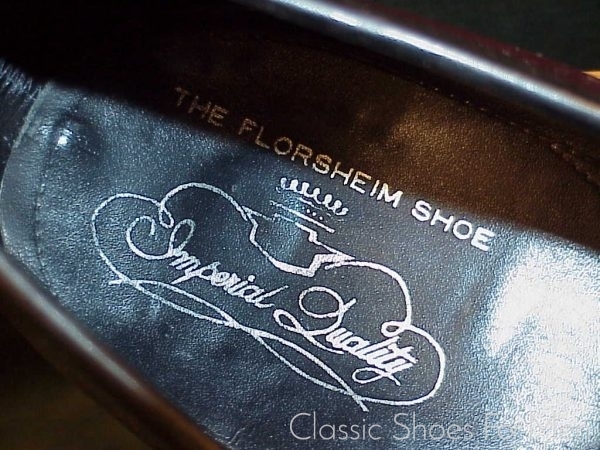 Dies ist Florsheim’s äusserst beliebter und seltene “High-Vamp-Loafer”. 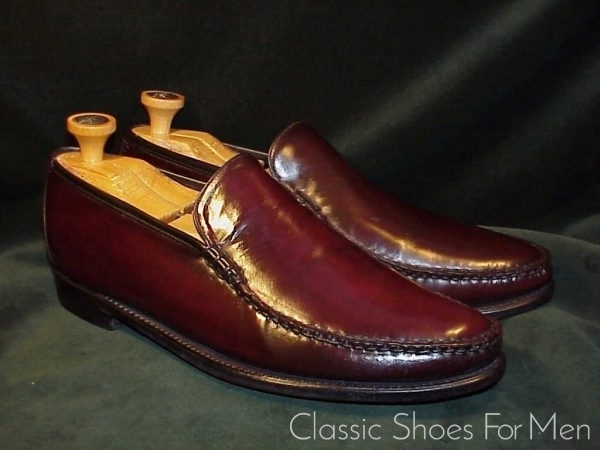 Ein Loafer wie kein anderer: der handgenähte Mocassin-Vamp geht fast in den vorderen “Welt” über und ist an den Seiten durch eine massive und dekorative Naht befestigt, die dem Alden’s Loafer gewiss Schamesroete ins Gesicht treiben wuerde! Florsheim war für den Grossteil des 20. 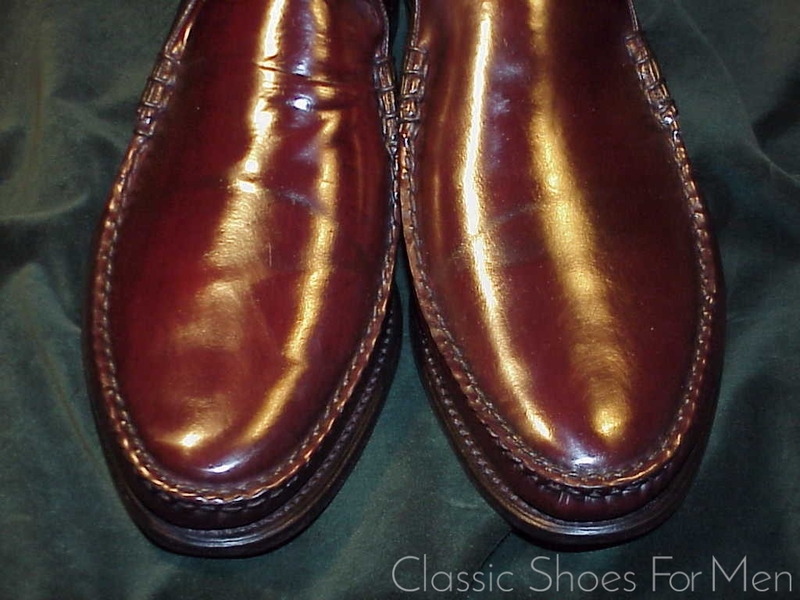 Jahrhunderts Horween’s bester Kunde und kaufte mehr Cordovan-Leder als alle anderen amerikanischen Schuhmacher zusammen. 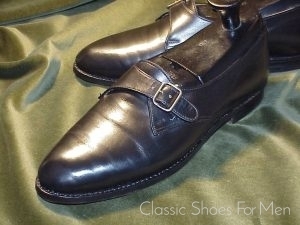 Dieser Schuh trägt die Bezeichnung “Yuma” und kann daher um die Spät-70-er datiert werden, doch war dieses Modell bereits in den 50-ern existent. Ein Klassiker, eine Antiquität, für alle Florsheim-Liebhaber ein absolutes Sammlerstück, seltener als jeder andere Florsheim-Schuh, einschliesslich aller ultra-seltenen Alligators; kurz, DER Repräsentant in der Welt der Shell Cordovan Loafers. 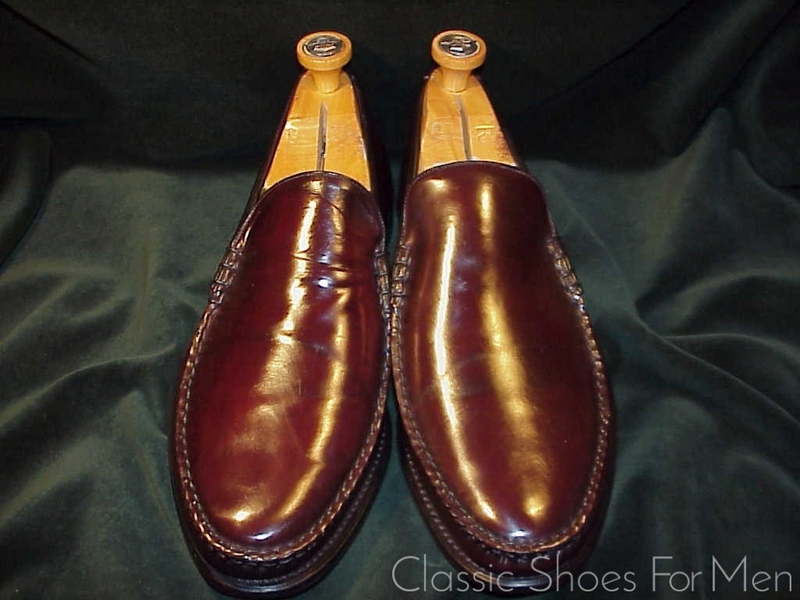 46D .... (12D US).....(11E UK), für den mittel-breiten Fuss.